In essence, procure-to-pay is a simple process. A requisition is created to purchase goods and then is sent to the appropriate manager for approval. From here, an order is placed, the goods are delivered and the accounts payable team receive an invoice and pay it. However, the majority of organizations struggle with parts of this process. The process is made up of a number of smaller components such as supplier management, purchase requisitioning, invoice capture, and invoice matching, all of which present their own difficulties. Technology is now streamlining and automating the process of buying and selling. This reduces inefficiencies and costs while freeing up the time of employees to focus on more value-added tasks. However, the majority of organizations haven’t implemented any automation technology. A report by Paystream Advisors found that only 1 out of 3 organizations say that they utilize an eProcurement solution. Furthermore, only 19% of organizations say that they have a fully integrated process flow between procurement, accounts payable and payments. So it’s clear that technology can help your organization’s procure-to-pay process but are you struggling to get executive buy-in? When you’re building a business case for automating your procure-to-pay process be sure to include these ten points to demonstrate return on investment (ROI). Non-trade spend is spend on goods and services that will not be re-sold. Products and services such as stationery, electricity bills and cleaning services all fall into this bracket. In a lot of organizations, these products/services are paid for with a company credit card or petty cash. This can lead to the organization missing out on bulk discounts, maverick buying and potentially over-paying. We have found that when an organization adds a PO process to non-trade spend, they will typically spend 1-3% less. For example, an organization with a total spend of half a billion and a non-trade spend of $100 million (typically 20% of total spend) could save $3 million by controlling their non-trade spend process. A traditional manual process for handling paper-based mail can be very time-consuming and in turn, financially costly. A paper invoice will go through multiple touch points before it is fully-processed; including perhaps the receptionist an accounts payable clerk and at least one approver. E-invoicing and the elimination of paper invoices can drastically reduce processing times. In general, 30% of an organization’s mail is accounts payable related. When e-invoicing is implemented this will reduce the amount of paper mail received and in turn reduce the cost per invoice processed. Once a supplier invoice had been received, routed to the appropriate approvers and approved, the data needs to be entered into the ERP finance system. In a traditional manual system, an accounts payable clerk will physically key information from an invoice into a software system. This manual process is very time consuming and can often lead to data inaccuracy and duplication of data. Technologies such as Optical Character Recognition (OCR) can automatically extract data and save it in a digital and searchable format. Automating data entry eliminates human errors while also saving enormous amounts of employee time allowing accounts payable staff to reallocate their time. Ardent Partners’ recent State of ePayables Report 2017 found that when the previous two steps are automated (manual processing of mail and ERP data entry) the cost to process a single invoice typically decreases from $15.02 to $2.74, a saving of $12.28 per invoice. If an organization processes 10,000 invoices per month, that amounts to savings of $1.44 million per annum. Procure-to-pay automation accelerates the time taken to complete manual and time-consuming tasks. Jobs such as invoice matching can be automated allowing organizations to reallocate staff members’ time to work on something more strategic. Many finance and accounts payable professionals are spending several hours each week resolving issues within manual procure-to-pay processes. 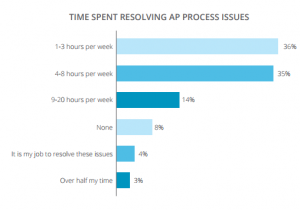 The graph below demonstrates how long staff spend each week resolving AP process issues. In many organizations, invoice approval can be a bottleneck in the procure-to-pay process. Approvers often allow invoices to ‘sit’ on their desk for days and in some cases weeks. In many cases, it can take some time for the invoice to get fully approved as it will have to be physically brought to and signed off manually by a number of different people. With automation, invoices and requisitions can be automatically routed to the appropriate approver for them to approve with a couple of clicks on a platform or even through email. Based on our experience, this generally saves 75% of the time that was previously spent on approving invoices. For example, if an approver spends one hour a week approving invoices, automation would reduce this time to only 15 minutes a week. For example, Grafton Group plc’s invoice approval process which was typically more than 40 days, now only takes 10 days due to automation. Considering that this organization generates nearly $3 billion in revenue, you can appreciate the significance of the savings. Manual procure-to-pay processes lead to invoice errors, duplicate invoices, late payments, and unhappy suppliers. Aside from the obvious implications such as paying the same invoice twice, dealing with these issues can be very time-consuming. The time that staff spend on ‘damage control’ is costing organizations thousands of dollars each year. The table below outlines annual labor costs for dispute management within organizations. 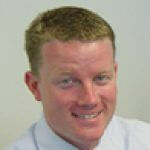 It is often the case that suppliers will offer a discount for buyers who pay their invoice early. Due to an organization’s lack of visibility into invoice lifecycles, these discounts are often missed. In fact, one-half of organizations only capture discounts some of the time and 16% never do. Organizations who are using a procure-to-pay software to automate and speed up their invoice lifecycle are saving around 20%. Depending on an organization’s invoice volume and size, the financial savings could be millions of dollars. Many organizations opt to outsource their accounts payable process. Outsourcing accounts payable often improves operations without investing in technology in-house. Organizations that outsource their accounts payable process typically understand that there is a better way to pay for goods and services but they aren’t completely fixing the issue and the outsource costs can be significant. When accounts payable is outsourced the human error risks are still present including; duplicate invoicing, paying an incorrect amount, or paying the invoice to an incorrect supplier. A study by PWC found that 56% of the respondents still use spreadsheets and manual processes to track KPIs. This has caused a global trend to move towards automation, even for non-financial KPIs. Technology offers the capability to identify KPIs and continuously monitor them for change, so you don’t have to manually track KPIs for reporting. Finance leaders often have very little visibility into the finance process. Many have no idea where a particular invoice is at any given time, or if a PO was fulfilled which often leads to organizations reacting to problems rather than being proactive. 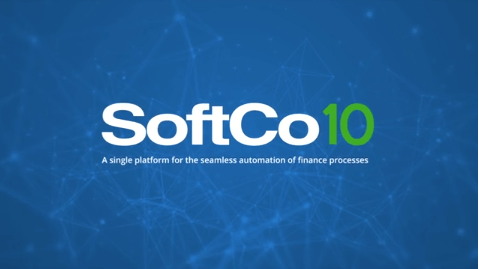 Through automating the procure-to-pay process, finance leaders will gain full visibility into the entire process, even offering suppliers the ability to log in and view progress on payment of their own invoices. Technology is especially beneficial for finance leaders who create reports for financial month, quarter or year-end. When using manual processes, closing cycles can take up to 24 days for larger organizations. Best-in-class organizations who automate the manual and repetitive tasks within the process close in around 5-6 days. 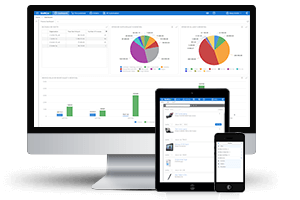 Finance departments can easily draw data including accruals by entity, spend by supplier, spend by GL (General Ledger) and invoice value received by month. When presenting a business case for procure-to-pay automation, you should include all of these points that are relevant to your particular situation. The procure-to-pay ecosystem is much larger than only these 10 stages however, senior management need to understand the variety of hard and soft savings that are available through automation. 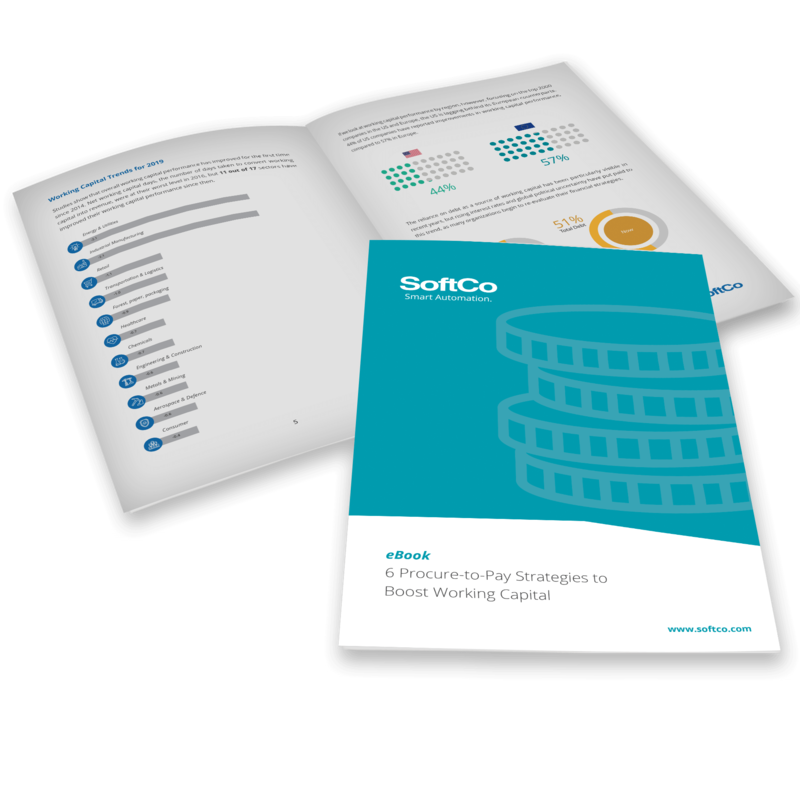 This article can act as a starting point to build a solid business case for choosing a solution to transform your procure-to-pay process and drive savings. Good article with many valid points, using the software saves much time and can help automate tasks.